Paul R. Smith is a shareholder in Larkin Hoffman’s litigation practice group who brings decades of civil trial experience to the firm. His principal areas of practice include product liability litigation and claim prevention, construction litigation, intellectual property litigation, insurance coverage litigation, and business litigation. He has extensive trial and appellate experience in both federal and state courts and has tried or litigated cases to resolution in nearly half of the states across the country. Paul has represented a wide variety of product manufacturers across the country ranging from industrial equipment manufacturers and construction equipment manufacturers to household maintenance products in litigated matters involving product defects, patent infringement, trade secret litigation and commercial disputes. He consults with product manufacturers on proper warnings, instruction manuals and product design. He represents contractors, architects and engineers in a variety of construction-related litigation including bond claims, design and construction defect claims, and contractual disputes. Paul also represents clients involved in complex insurance coverage litigation or who are asserting large claims to insurers. Additionally, he litigates and manages the asbestos litigation for domestic and foreign corporations. Paul is a National Board of Trial Advocacy Certified Civil Trial Specialist, a Minnesota State Bar Association Certified Civil Trial Law Specialist and a member of the invitation-only American Board of Trial Advocates (ABOTA), an association of premier trial attorneys dedicated to preserving the right to trial by jury. He has achieved the highest possible Martindale-Hubbell rating for legal ability and adherence to professional standards of conduct, ethics, reliability, and diligence. 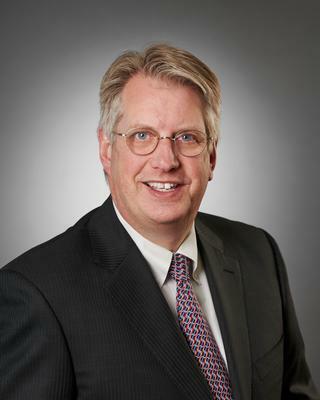 Paul is deeply rooted in the legal community and is active in a number of legal associations including the Litigation Section of the American Bar Association, the Federal Bar Association, the Minnesota State Bar Association, the Hennepin County Bar Association, Defense Research Institute (DRI), and the Minnesota Defense Lawyers Association. Hamline University School of Law, St. Paul, MN; 1986, J.D. Gustavus Adolphus College, St. Peter, MN; 1981, B.A.